On Wednesday, April 6, 2016, Apigee released an update to the management UI login page for the public cloud. 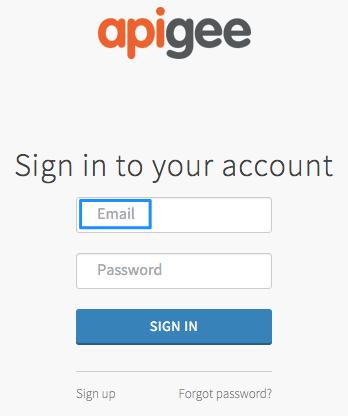 The legacy login page allowed you to log in with your Apigee email address or username. The new login page requires your Apigee email address, which is consistent with the credentials required to make management API calls. 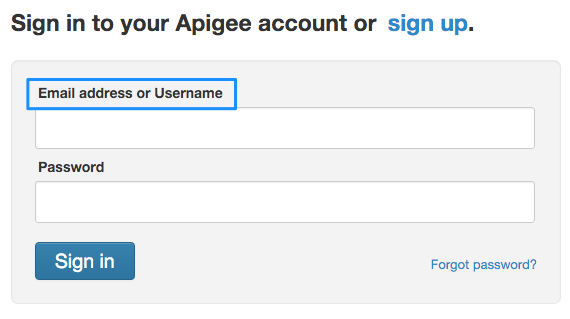 The legacy login page let you enter your Apigee email address or username. The new login page requires your Apigee email address.